How About a Little Hump Day Zen? Why yes. 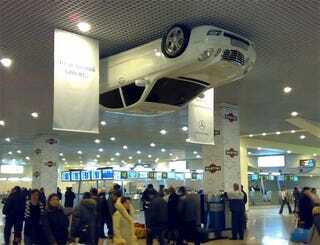 That is a Benz nailed to the ceiling of a Moscow airport. Furthermore, Englishrussia.com rules.